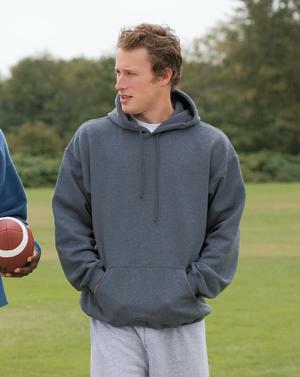 Double lined hood with matching draw string. Double-needle hood, shoulders, armhole seams, cuffs and pouch pocket. 2x1 fashion rib with Lycra�.